Lady's Slipper Orchid (Cypripedium): growing, planting, caring. 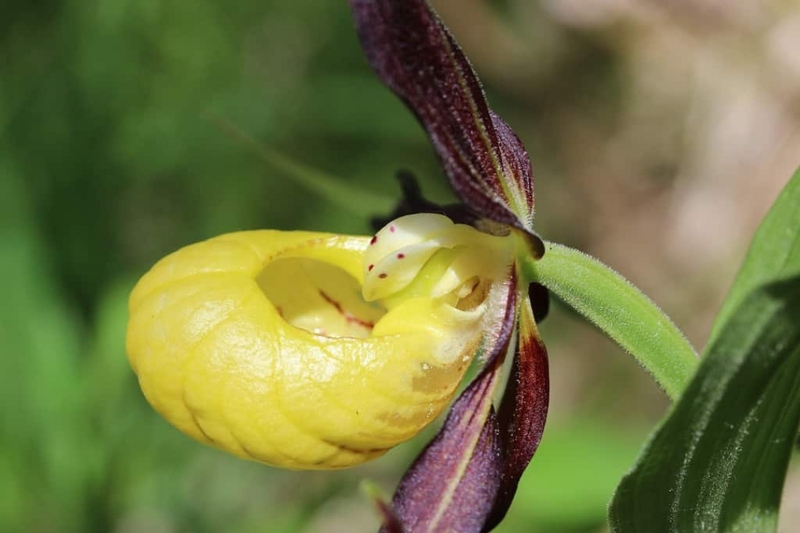 Lady's slipper orchids are orchids characterised by the slipper-shaped pouches of the flowers – the pouch traps insects so they are forced to climb up past the staminode, behind which they collect or deposit pollinia, thus fertilizing the flower. Lady's slipper orchids of the genus Cypripedium are for some originating in temperate zones of the northern hemisphere, and resist in cold climate up to -30 ° C! These orchids are rare but some grow spontaneously in the wild. Beware, they are protected ! Plant your hoof of Venus in fresh, rich soil, sheltered from the wind and in semi-shade. The species C. calceolus prefers rather alkaline soils, while C. reginae prefers acidic soil. Work the soil about twenty centimeters deep, fill the hole with light soil, then plant the bulblets a few centimeters deep. Water to put the soil in contact with the plants. A good mulch in the fall will help your orchids to overwinter. Have a good layer of composted leaves in November. Lady's slipper orchid are prone to slug attack - often in early spring, while waiting their favorite food to grow. They also suffer from gray mold attacks - often because of excess moisture and excess nitrogen in the soil. Avoid adding rich compost of fresh leaves. Multiply in early spring. Replant the shards without waiting, and be careful to keep some of the soil around the roots.